"The greatest event we have ever thrown at SF BATTERY!" 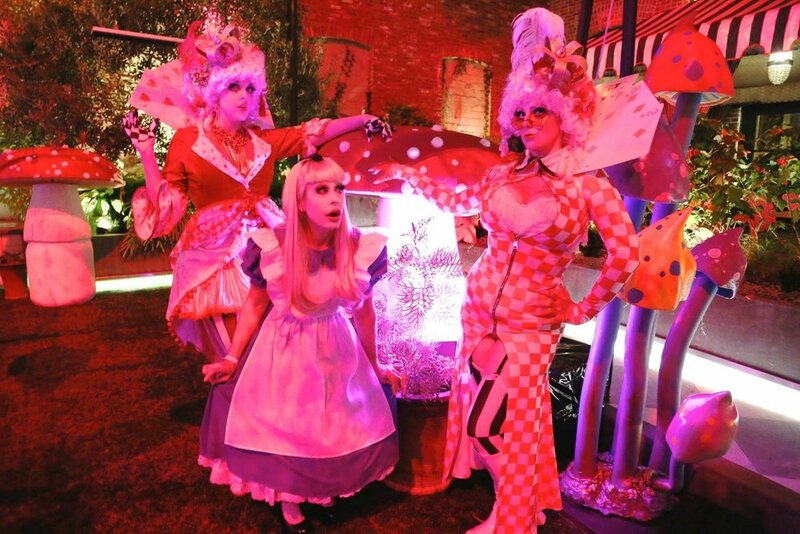 For 2016's Halloween, Mystic Midway transformed San Francisco's famed private club The Battery into a wondrous spectacle from the Psychedelic 1960s. We created lush environments inspired by Pepperland, Alice in Wonderland, Warhol's Factory, Sid & Marty Krofft's, Candyland. These surreal, interactive landscapes were filled with butterfly dancers, classic oil-projection, projection-mapping and video, a wacky stage show with songs from yesteryear, and a 20-strong Midway Ensemble of wandering performers, making this an unforgettable night in an enormous, immersive, psychedelic, mixed-media wonderland. Contact us to get started on your own event, featuring immersive performance, technology, and game-ified social interactions and play. Classic oil-projection and modern video mapping mixed old and new visuals, delighting guests. Custom made decor draped each environment, transporting guests to alternate dimensions. 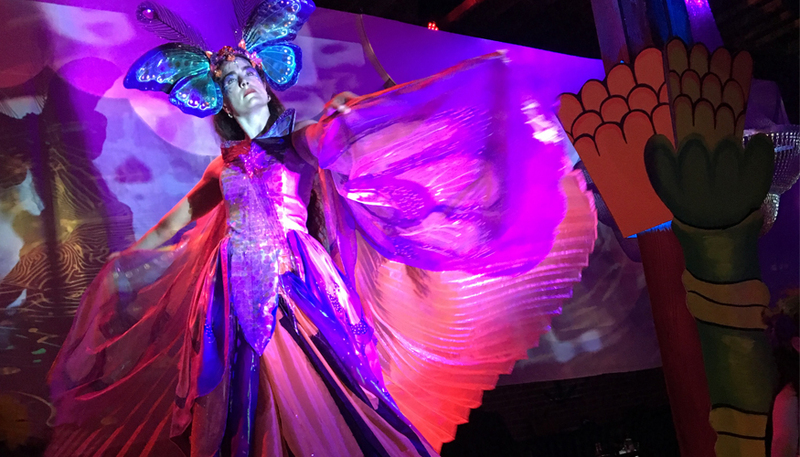 Amazing butterfly dancers, a wacky stage show with songs from yesteryear, and a 20-strong Midway Ensemble of wandering performers made this an unforgettable night of psychedelic good vibes. Please get in touch to find out how we can help your organization make something amazing happen in 2017! If you are looking for incredible event production with immersive performance, technology and gameified play please don't hesitate to get in touch with the Mystic Midway! Venue: SF Battery, a private club in San Francisco. Featuring: 6 immersive environments, dance, parades, musical acts, an emcee, stilt walkers, and acrobats.